Every child is different, and has different developmental needs. We offer support and encouragement through their interest and curiosity to build up their self-esteem. Individual attention helps children to gain confidence during this period of development. Children need to feel important as an individual, and learn to respect themselves and treat others, as they would want to be treated. Our program is to aid children in the development of sanitary health habits, learn to share, be polite and thankful. We are happy to have you and your child in our state licensed preschool program serving ages between 2 to 5. Choo Choo Train is open Monday through Friday from 8:00 a.m. to 6:30 p.m.
You may drop-off and pick up your child at any time during the school hours. Your child must be awake, alert, dressed, hair brushed, ready to play, and learn. Please make sure you sign in and sign out with your full signature on the sheet. Please record the time and date. Choo Choo Train will not release any child(ren) to anyone not listed on the child's authorization form unless the parent or guardian has notified us. It is your responsibility to update the emergency pick up form. Please bring a small blanket marked with your child's name and placed in a pillowcase. You may want to add a small stuff animal or doll if it will help your child go to sleep. It is your responsibility to take nap items home every Friday, laundry and return to school on Monday. Please bring your child(ren) two or more sweat pants. Items must be properly labeled with your child(ren)'s name. We are not responsible for soiled clothing. Every Wednesday is our share day. Your child should be encouraged to bring something to share with the class. Parents must provide diapers and wipes as needed. It is the parents' responsibility to check their child's diaper supplies. Choo-Choo Train will provide disposable diapers and pull-ups, depending on what your child(ren) need. A $1.00 fee per diaper or pull-up will be charged if we supply them. Children may eat breakfast between 8:00 a. m. to 8:30 a. m. Parents are responsible for their breakfast. Snacks are provided free of charge based on the guidelines for the state food program. Morning snack is served between 9:45 a. m. to 10:00 a. m; afternoon snack is served between 3:45 p. m. to 4:00 p. m. It is your responsibility to inform us any FOOD ALLERGIES your child(ren) may have. Children need to bring their own lunches, drinks, and utensils. Please pack nutritious food that your child likes. Please do not send candy or soda. Children tend to choose these items first and then are unable to finish the nutritious food you prepared for them. All lunches are kept in the cubbies. The staff cannot possibly refrigerate, heat, further prepare (wash, cut, peel or mix) and administer food at the premises for every child, nor do they regulate the food that is eaten or the order in which it is eaten. We ask parent(s) /guardian(s) to provide ice packs for lunch boxes. All lunch boxes and containers should be clearly labeled with child's name in permanent ink. Nutritious treats are welcome for birthday party. Please let us know ahead of time so we can plan accordingly. You are required to attend the conference. These conferences give parents and teacher an opportunity to discuss the child's development. We will give you at least two weeks notice to ensure that your calendar is noted. We must have prior written (Emergency Form for our files) or verbal authorization from you for someone, other than yourself or your spouse, to pick up your child(ren). Persons picking up your children must have proper identification on hand before your child(ren) will be released into their custody. WE DO ASK FOR PROPER IDENTIFCATION! It is LEGAL for either parent to pick up the child(ren) unless we have a copy of a court order restricting visitation on file. Field trips are a part of our program. They will help your child learn and explore the world. School will notify you in advance of any field trips, and consent forms will be sent home. Parents must return the permission slip on time and provide an appropriate car seat or booster seat for your child. Only children with written authorization will be allowed to participate. Parents are always welcome to join and help us. Transportation will be provided by the parents/guardians during field trips. All drivers must bring a current driver's license and proof of insurance for the vehicle. School will not provide transportation at any time. 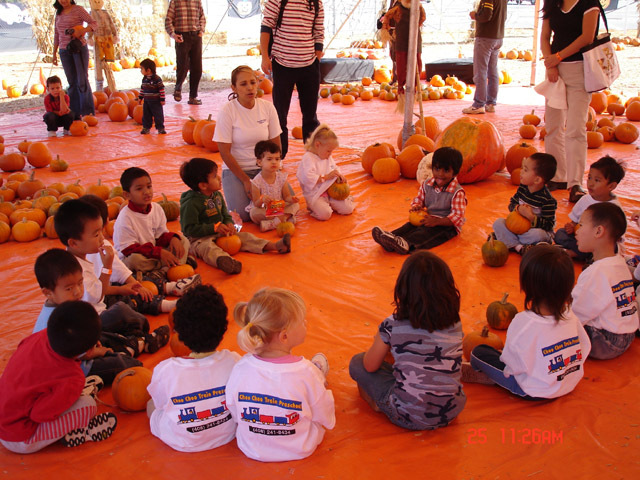 Examples of field trips: Pumpkin patch, Happy Hollow Zoo, and Children's Discovery Museum. As of Jan 1, a new California law states that children under the age of 8 or shorter than 4 foot 9 must continue to use a booster seat. a. Diarrhea (loose, watery, mucous-filled stools). d. Sore throat (with fever or swollen glands). g. Lice (we will examine everyone without mentioning any names or causing any child embarrassment). h. Active sneezing or coughing. i. Colored discharge from nose. j. Or any other symptom that indicates illness or potentially contagious condition. A child who is brought to the school with any of these conditions or symptoms cannot be admitted, and will have to be taken home by the parent immediately. If any of these symptoms develop after a child has been admitted to the school, the parent will be informed of their child's symptoms, and will need to make arrangement to bring the child home. Please call and let us know if your child will be unable to attend on a given day. You must fill out medication release form (which will be kept on file for every medication in every instance) for us to administrator prescription medications only. The medication release forms must be complete by you the morning you bring the child(ren) in for care and the medication is to begin. The written permission must include the name of child, name of medication, specific instructions, which include dosage and time medication to be given. You must provide the dispenser to administrator the medication. Medications must come in the original container with unaltered prescription label. a. Fever is absent for at least 24 hours. b. Nausea, vomiting, or diarrhea has subsided for 24 hours. c. Three doses of antibiotic have been given over a 24 hours for knowing Strep infection. d. Conjunctivitis (Pink Eye) has diminished from the eyes and there is no discharge. e. Child completely over the contagious stage of illness. You must give us a copy of each child's immunization record on the first day of school. Records must be updated annually. In case of serious emergency we will contact the child's physician for medical assistance. For minor injuries we will wash with soap and water, apply ice and Band-Aid. The parent will be notified if more care is required. An accident report will be placed in the child's file. In the event of a 911 emergency, the child, accompanied by a teacher, will be transported to the nearest hospital by ambulance. The parent(s)/guardian(s) and physician will be notified immediately. All expenses shall be paid by the parent(s)/guardian(s). One fire extinguisher is maintained and located in prominent location within the school. Practice fire drills are conducted on the monthly basis. 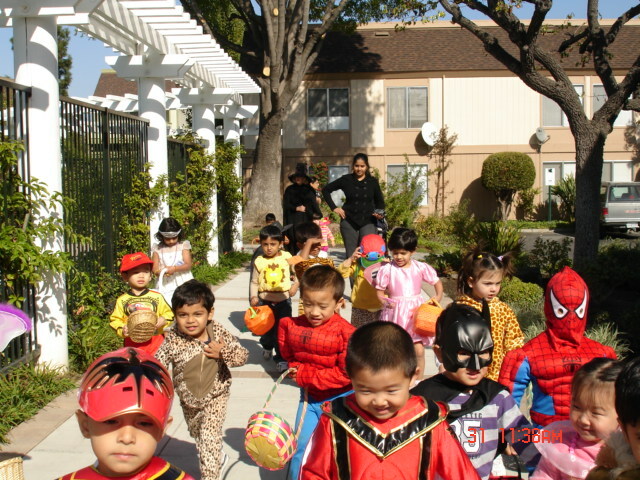 Under the direction of their teacher, children will evacuate the building and remain at the school playground with the teacher until it is safe to re-enter. All children will be taught to "DUCK and COVER" under all available furniture. In the event of a major earthquake children will remain in the school with their teacher unless advised by authorities to evacuate. If the children are moved to another location that location will be posted on the school entrance doors. There are no tuition adjustments for holidays. If there are any changes in the above schedule we will try to give at least one month's notice. Choo Choo Train is open Monday through Friday from 8:00 a.m. to 6:30 p.m. There is a $1.00 per minute late fee if your child is picked up after 6:30 p. m. Please sign the late pick up slip and pay the staff person who remained with your child, no later than the next day. Staff should not have to ask for payment. There are no tuition adjustments for your absences, no credits for family vacations, illness, or changed of work schedule. If a child must be absent for at least one month and we receive a written request one month in advance, we will retain the child's place for a period of up to two months for reduced tuition of 50% of normal fee. For absences of less than one month, there will be no tuition reduction. For absences more than two months we cannot guarantee a space upon the child's return. We will place the child at the top of the waiting list. A thirty day advance written notice must be given to us to withdraw your child from Choo Choo Train Preschool without charge. Children need adults to help them learn how to behave in acceptable ways and develop alternate ways of behaving. Our goal is to provide a safe place and help your child(ren) develop self-control. If a child's behavior consistently opposes this goal and the below steps have been unsuccessful in changing the behavior, the child may be dismissed from Choo-Choo Train Preschool. CORPORAL PUNISHMENT IS NEVER USED AT OUR SCHOOL. If several discipline problems exist in the classroom, the director/ teacher will arrange a conference discuss it with the parent(s)/guardian(s) and offer suggestions or assignments to remedy the conflict. The parent(s)/guardian(s) will be asked to support the philosophical approach of the school in correcting the problem. In the event that the child shows no sign of improvement the school will conclude that the child will not benefit from the program and dismiss him/her, see "dismissals" below. Techniques used at Choo Choo Train Preschool. 1. You are continuously delinquent in your account. 2. You fail to honor the obligations listed in this handbook; you fail to cooperate with me. 3. We are unable to meet the needs of your child(ren). 4. It is not in my best interest or the other children enrolled in the school, to have your child(ren) in attendance. We agree to arrange a time to discuss any complaints, questions, or concerns you may have about your child(ren)'s care. We also agree to participate in problem solving or information exchange sessions that will be of mutual benefit to us and the child(ren). Parent(s)/guardian(s) attention is hereby directed to section 101200 of Title 22 regarding Licensing rights: "Rights of Licensing Agency (Section 101200 (b) &(c)) The Department or Licensing Agency shall have the authority to interview children, or staff, and to inspect and audit child facility records without prior consent. The licensee shall make provision for private interviews with any children or staff member; and for the examination of all records relating to the operation of child care center. The Department has the authority to observe the physical condition of child(ren), including conditions that could indicate abuse, neglect, or inappropriate placement. There's none utilized at this time. 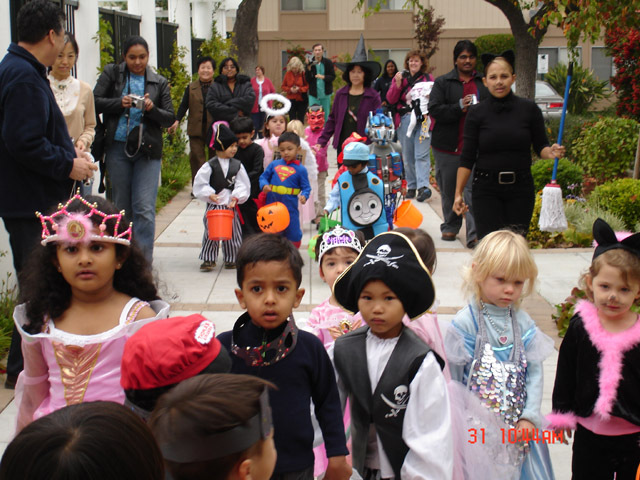 Choo Choo Train School will not discriminate against race, religion, gender, etc. Each parent must complete a registration packet for each child. To schedule a school tour, face to face interview, and discuss about admission and agreement are necessary in order to have the child participate with the program. Handbook subject to change without notice.